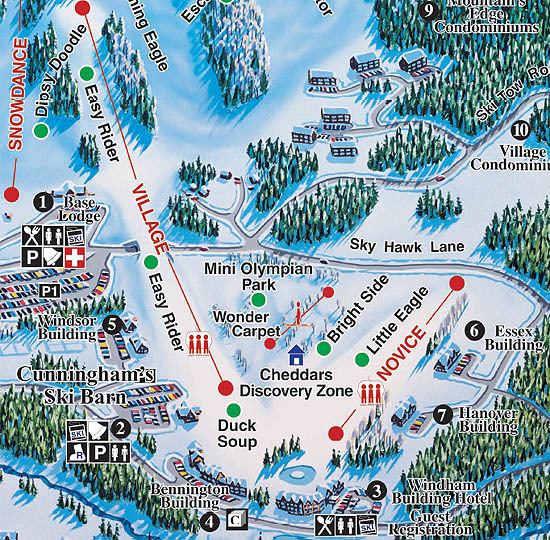 After picking up the bankrupt ski area in 1983, a group known as Summit Ventures, Inc. started a 10 year ski area and real estate development plan. 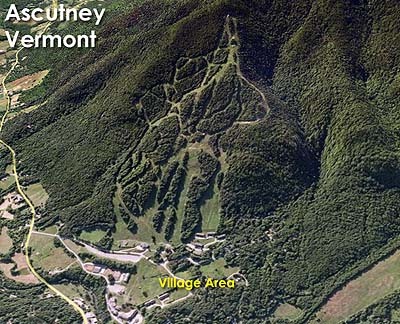 In 1984, a sizable novice area was built below the existing Ascutney ski development. A new CTEC 2,170 foot long by 280 foot vertical triple chairlift ("Village") was installed, complete with a bridge over Ski Tow Road, connecting the new village development with the main mountain. 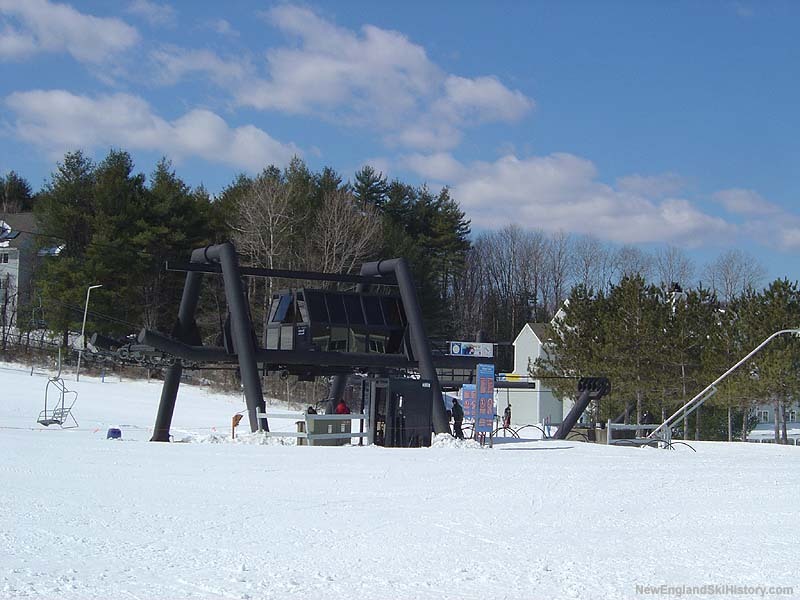 In addition, a 76 vertical foot, 905 foot long new CTEC triple chairlift ("Novice") was installed, serving a wide open beginner slope. In addition to the two lifts and three new beginner trails, a base village, including a pool, tennis courts, eateries, and hotel, was opened. 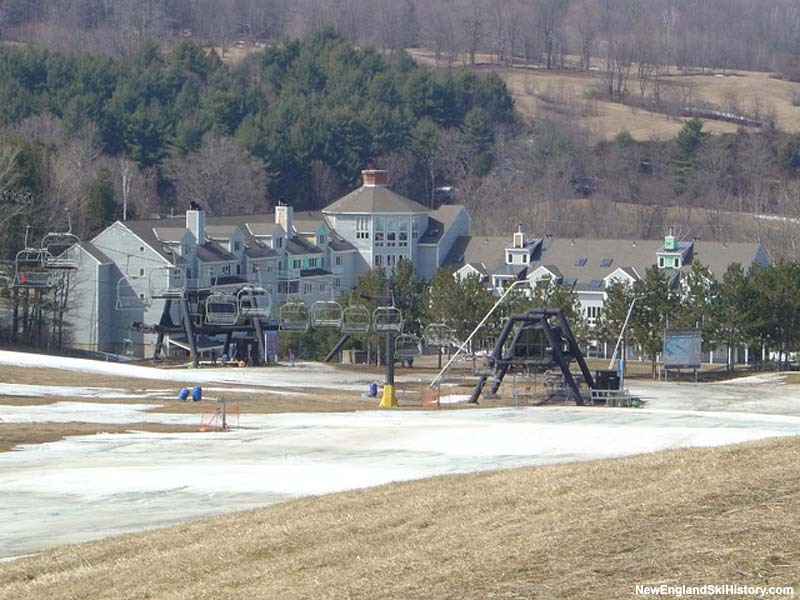 The debt from this development eventually contributed to the two season closure at Ascutney after the winter of 1990-91. 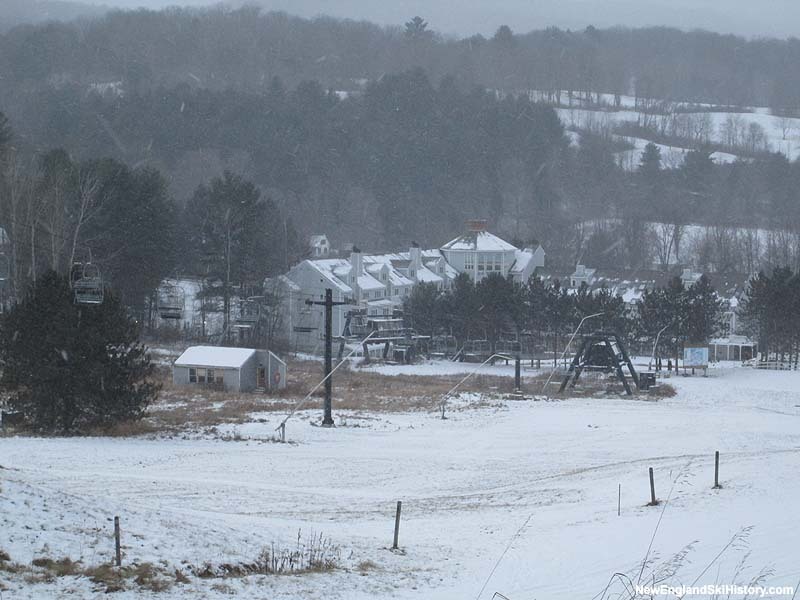 The complex reopened with the rest of Ascutney in 1993.